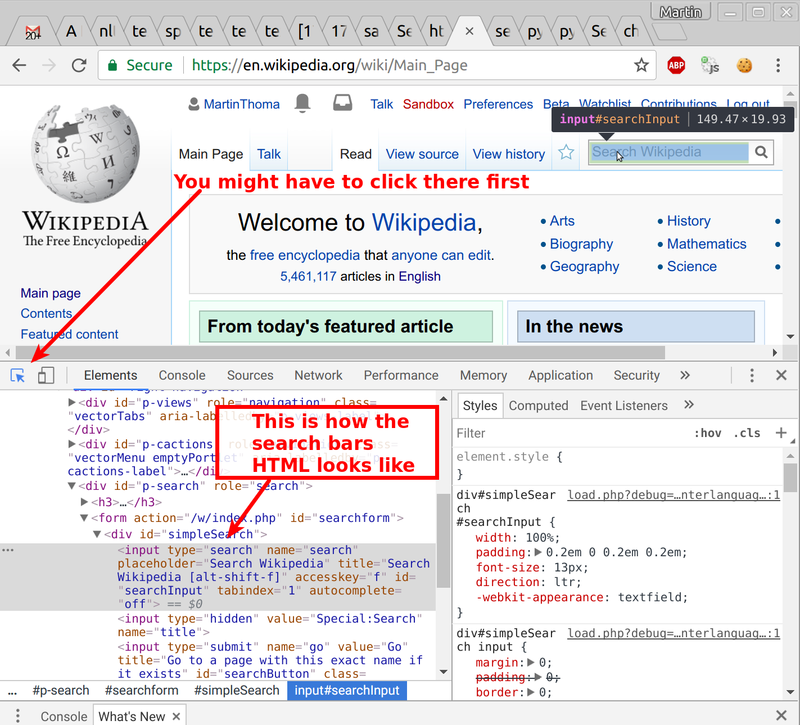 When you execute the follwing example with Python it should open a Chromium browser window with the Wikipedia main page. Nothing too exciting. """A very basic selenium example.""" """Open Wikipedia - and keep the browser open.""" """Get the browser (a "driver").""" """Search for Selenium and click on the disambiugation link.""" A headless browser is one without a GUI. PhantomJS is one example. but that might be a security risk. Your choice. """Selenium example for downloading a webpage.""" """Download an opened PDF page.""" Credits: How can I download something with Selenium and Chrome? See the official documentation for all wait methods.